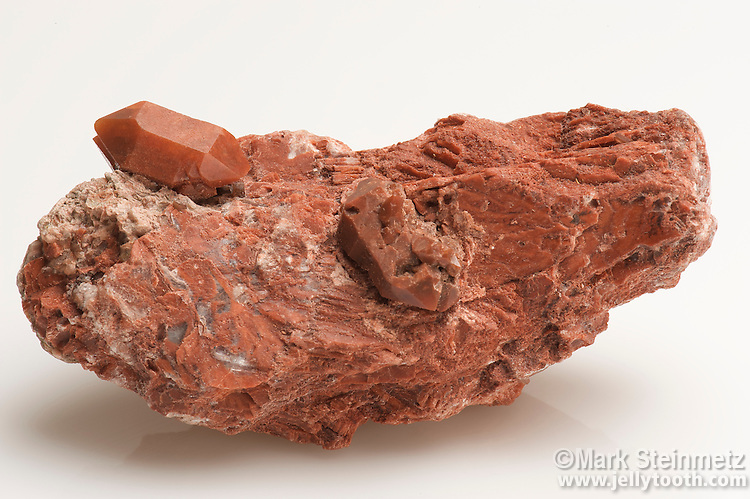 Jasper crystals on red Gypsum. Teruel, Spain. Jasper is an opaque and usually colorful variety of quartz, or silicon dioxide.